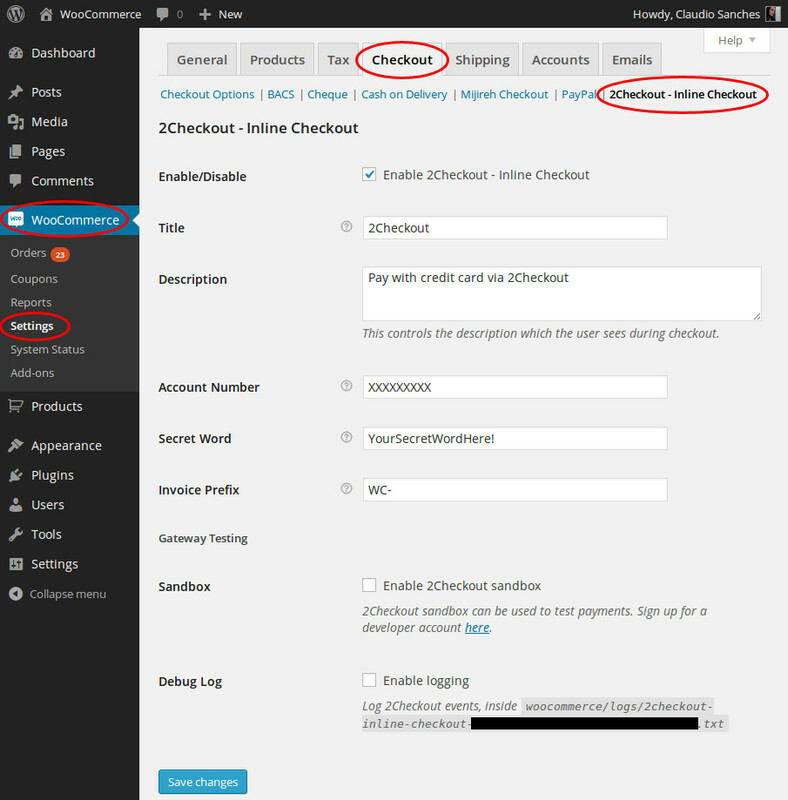 WooCommerce 2Checkout Inline Checkout Extension: allows your customers to checkout with 2Checkout without leaving your store. 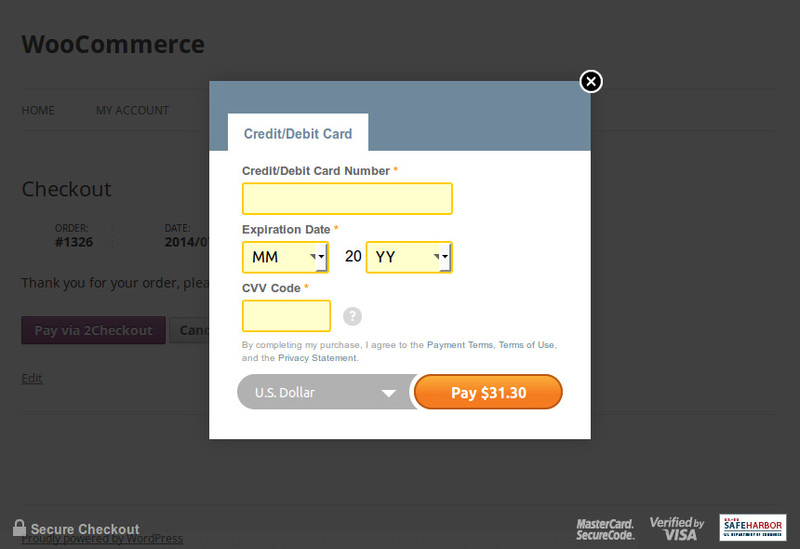 ◉displays a secure payment form inside your WooCommerce store. ◉You are able to receive transactions from 196 countries through 87 currencies and 15 languages.